New Nutribullet customers who recently purchased a brand new Nutribullet unit can register their device online at www.nutribullet.com/register or www.mynutriliving.com. After you complete the online registration you will receive a 15 month extended warranty plan to further cover your device in case of problems you may experience with it. When finished completing everything your new warranty will be activated. You will find at the bottom of www.nutribullet.com/register a link to the warranty details. Please take the time to review the information given so you will be fully informed on what to expect. If your product happens to stop working you can contact customer service at 1-855-34-nutri or you can utilize the customer service link to complete the customer contact form. Concerning your Nutribullet warranty there are some details to consider. These details are based on specifics about your warranty, initial steps to take if you’re experiencing problems with your device, and a refund. The basic warranty to each Nutribullet product comes with a 1 year limited warranty. This protects your device from defects it may have after you purchase it, pull it out of the box, and begin using it. Depending on the problems you may be experiencing your unit could be either repaired or replaced with a new one. Some of the problems that the warranty does not cover are daily wear and tear and accidents. If you are interested in upgrading your warranty for an extended period of time you can take advantage of the 4 year limited warranty which has an additional charge. If you begin experiencing problems with your Nutribullet device it’s always good to check out their FAQ section first for any quick answers that could solve your problem. If you cannot find the solution you’re looking for then visit the Customer Service section of the Nutribullet site. The Customer Service section has the phone number to speak directly with a representative and a Contact Us form. You can easily submit your issues and concerns with these two options. One of the promises that Nutribullet stands by is a 30 day refund program that promises if for some reason you’re not completely satisfied within the first 30 days of the delivery of your initial order, we’ll refund your money (less shipping & processing). Trying to register on line is a farce..can’t get to a form and by the looks of previous comments neither can any one else. Very poor advertising. .Makes me think maybe I should rebox the product and take it back to Costco and buy a Ninja. Poor showing for Nutribullet!!!!!!!! I have also tried to register my Nutri Bullet on line. What a joke and a complete waste of time. Maybe the product isn’t that good so you don’t want to give the extended 3 month warranty!!!!! That’s what it looks like. Consider this as my registering on line. Registration number 23T108051404030. I always wanted to own this machine and was excited when I say it on sale. Great machine. Purchased my Nutribullet at Christmas and it stopped working today 5-22-14.
all I wanted to do is register my nutribullet that i just purchased, and have been trying for over 10 minutes to no avail, all i get is propaganda, marketing and unwanted products pushed on me, you should be a shame of yourself to use such cheap tactic to sell additional products. We are enjoying our nutribullet, my husband who has Type 1 diabetes thinks it helps him keep his blood sugars more stable. I would like to register my new machine for the Warranty, why is it so difficult? I guess I will have to mail it in. Also tried to register my bullet with no success. It’s disgusting! I ordered the product. BUY ONE – GET ONE FREE Lo and behold! I only received ONE order and it, DEFINITELY wasn’t FREE. I called Customer Service to notify them of the missing FREE ORDER. The agent online treated me as if I was lying and argued that there had to be two orders in the box. I just got my Nutribullet a few days ago and I love it, I also have a Magibullet it has been Fourteen years now and it still works great! the stamina of these products are very impressive. Great Product I will mail my registration in. Thanks Guys & Gals. 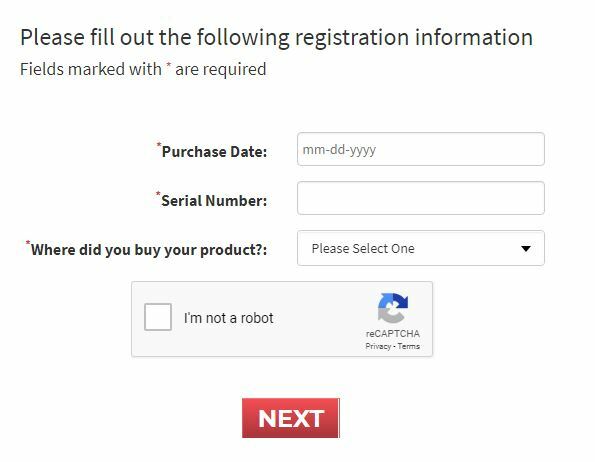 love the machine BUT YOU SERIOUSLY HAVE A PROBLEM WITH ONLINE REGISTRATION, THIS IS A JOKE!!!!! I have been trying to register online for over half an hour, have tried every link there is and the page is not available? PLEASE FIX FOR FUTURE PURCHASERS! last two days! Please register this for me. Registration number is 23H405131400748, bought at Canadian Tire October 9th 2014. Thank you. Just purchased your Nutribullet. Tried to register on line but would not let me. My registration # is 23H406121402191. If I do not hear from you people I will have to return it. Last two days. Please register it for me. Registration number is 23S406161404133. Here is reg #….fix your site! I, like so many before me tried to register my Nutribullet online to no avail. This is very disturbing. Please fix your website. I love the Nutribullet but will not recommend it to anyone until the website is fixed. try to register my nutribullet/warranty to no avail…..please register#02S409241400760.PLEASE FIX your SITE!!!!!!! i received my nutribullet rx in nov. all i want to do is resgister it. I asked for and received the NutriBullet for Christmas 2014. I love the product so far. The smoothies are easy to make and taste good, but what I love most is the nutritional value. The only problem I experienced was NOT being able to register the product online for the extended 3 month warranty. Please fix!!! In the meantime please process registration number 02f5062514 3236. Thanks!! for warranty ,Phone call did not work ether, still on hold ,half hour so far. Reg # 23F504281400845. FL 34433. Tried to register my Nutribullet online. Won’t let me. This is totally wrong!!! Fix your site! My registration number is 02S41014140052. DONE! Love my nurtibullet but can’t register it. Purchased online with highstreet tv.please can u register it for me as its impossible to do on ur site. Love Love Love the Nutribulletrx it is in use every day. very angry that i have not been able to register online I have tried several times. rarely do I use snail mail but of course I will have to find away Pleasee fix your website. I am attempting to make the online registration of my nutribullet #23F509061407552. I am not sure if I was able to register my nutribullet pro It said I could get an extended warrenty which I did not want at this time so I don’t know if the registration went through. serial #02s412091400912. The web site is quite confusing. Just received my nutribullet March 4, 2015 and having problems registering it. Please register…my registration number is 23T109161401716 Thank You….send me an email verifying my nutribullet is registered. Your website does not work! I tried to register my Nutribullet, it will NOT allow me to do so. LIKE ALL OTHERS, I HAVE BEEN TRYING TO REGISTER ON LINE FOR THE EXTRA 3 MONTHS.. YOU DON’T AGREE THAT MY NUTRIBULLET AND SERIAL IS THE SAME. I. DIDN’T MAKE IT YOU DID,,THE SERIAL NUMBER IS 022HO8241500848… NOW IF IT ISN’T A FARCE , PLEASE REGISTER IT FOR ME.. I SEE NOT TOO MANY PEOPLE ARE HAPPY WITH THE WARRENTY SIDE OF THIS.. Me either.. THIS IS MY REGISTRATION NUMBER: 232103011602761, I cant find the serial number. I bought my new magic bullet yesterday. I have not tried it as yet. However it says 3 months additional extended warranty service by registering on line. Like others unable to do this! Whats up you people? If this is such a good product…why are we not able to register online? I happened to know my name and e-mail address. I cannot register this Nutribullet that I purchased today, June 14, 2016. This purchased was made at SEARS. I agree with Harold D. I cannot register this online to get the additional warranty. I think it is wrong.